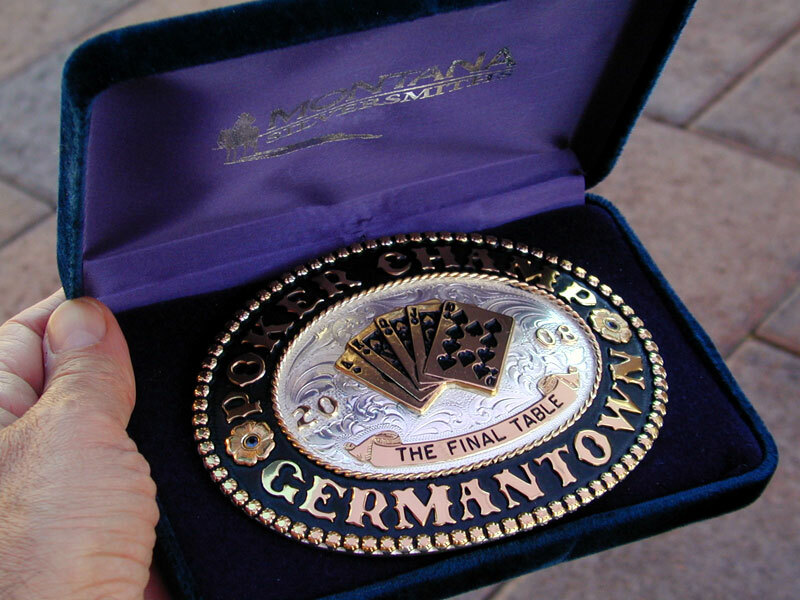 Feather Trophy Buckle 61406 by Montana Silversmiths. Click image to enlarge. 3¾" x 4¾". 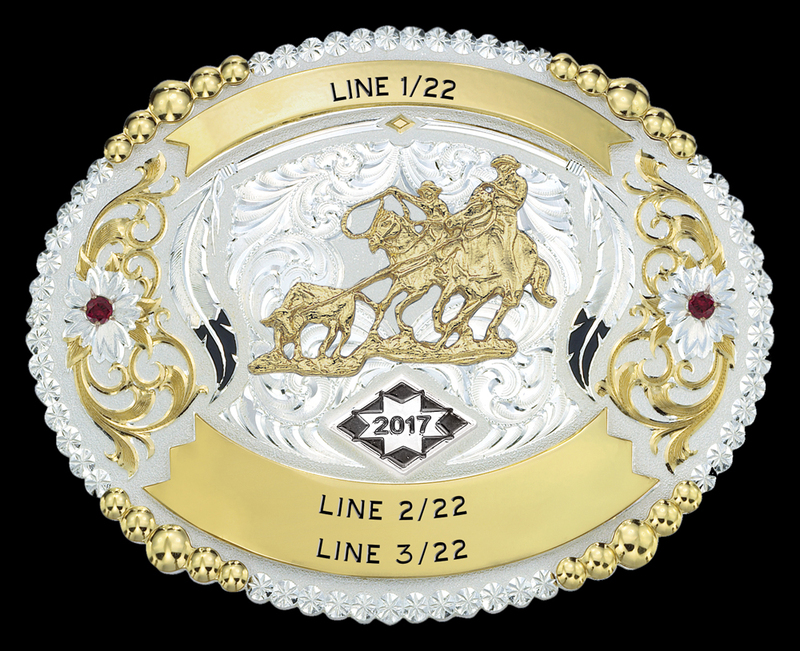 Silver buckle features berry edge with gold balls and a feather theme. Includes date trim and two stones of your choice. Engrave the any or all of the three ribbons in your choice of colored characters. Shown with Team Roper figure 508 and red rubies. 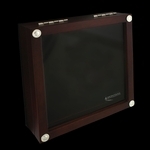 Features Montana Silversmiths' rugged, no-tarnish, MontanaArmor finish. 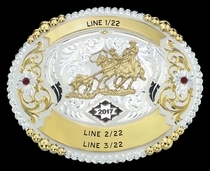 This award buckle is also available in solid sterling silver (usually price x 3); contact us for a quote.